Why not come and enjoy a full relax! No tent to put up and take down – just turn up – and enjoy. (Note – you’ll need to bring your own bedding / sleeping bag). 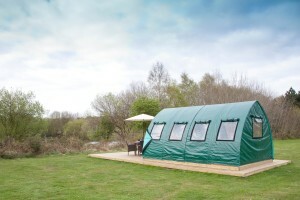 We provide the accommodation, best spot on the site! Just bring the food and drink. 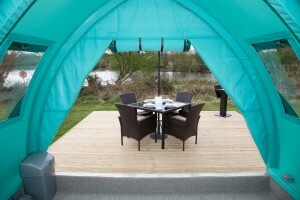 Provided are – bbq, fridge, relaxing chairs and two double beds. Nice and cosy with your own patio area! Sorry – No Dogs Allowed Inside.